David's Blog: Pay attention. This hurricane has just taught us a very important lesson. It can happen that fast. From tropical depression to major hurricane in 48 hours. That's it. You ready? 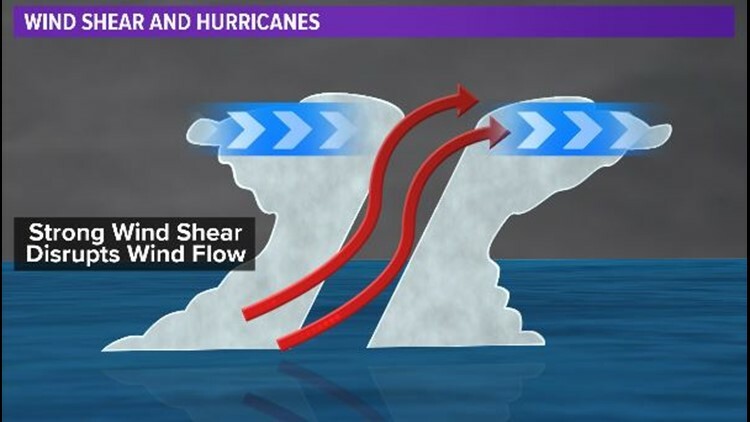 There are two major reasons for such rapid intensification. 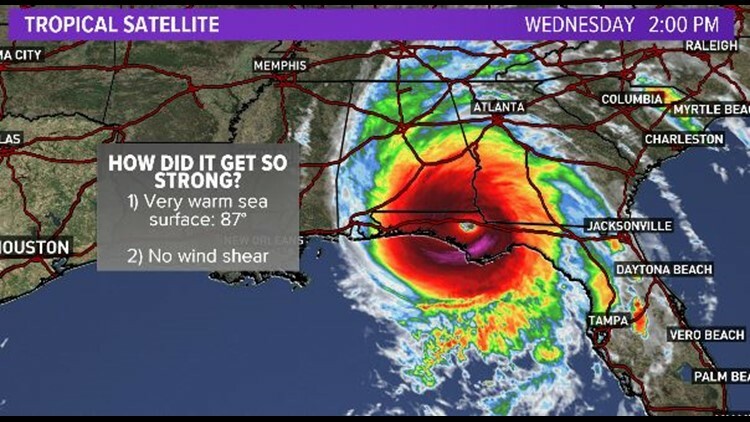 First, the system moved over very warm (87 degrees) water in the Gulf of Mexico. That supplied the energy. The larger of the two was a lack of any wind shear. 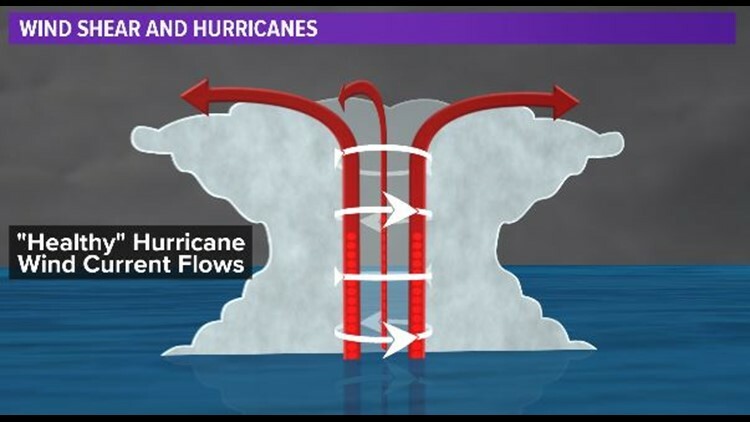 When upper winds are strong (below) they disrupt the storms circulation by tipping it over. When upper winds are light (below) the storm can become vertically stacked. This, plus some upper level outflow allowed the storm to organize and rapidly intensify. Where do you live? 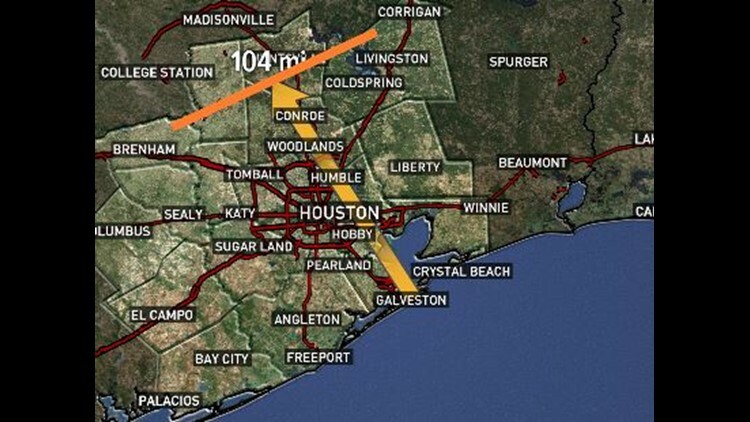 Brenham, Huntsville, Livingston... that's about how far YOU are from the coast. Are you ready for a cat 3 in Brenham? 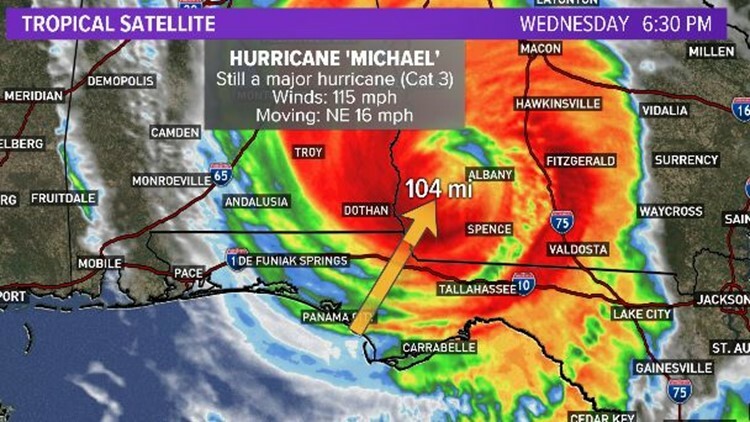 Although it would be a very rare occurrence Hurricane Michael is proving that it is indeed possible (below).